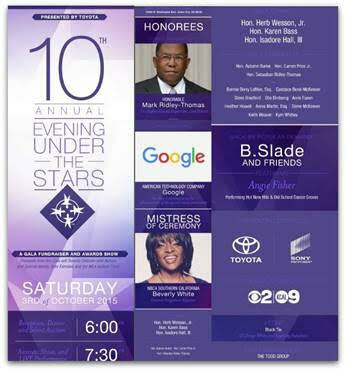 On October 3rd at Sony Pictures Studio lawn in Culver City, the Special Needs Network will have their 10th Annual “Evening Under The Stars.” This gala fundraiser will honor LA County Supervisor Mark Ridley Thomas with be bestowed the Everyday Advocate Award and Google will be awarded the Trailblazer Award for their contribution to advancement of the special needs community. The reception, dinner and silent auction begin at 6 PM, with the awards show and live performances starting at 7:30 PM. 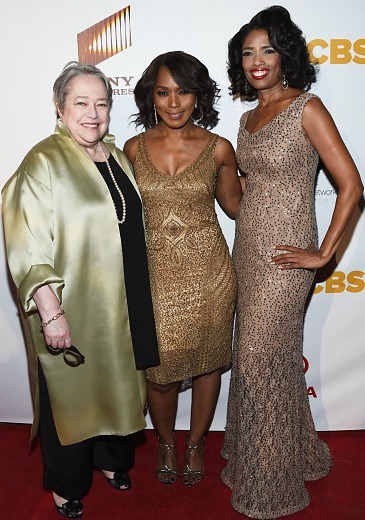 SNN President Areva Martin, Gala Chairs Hon. Herb Wesson Jr., Hon. Karen Bass, Hon. Isadore Hall III, presenting sponsors Sony, CBS and Toyota and several politicos on hand. Numerous stars including Kym Whitley, Bai Ling, Carla Ortiz and many more adding to last year’s stellar turnout highlighted by Angela Bassett, Kathy Bates and Sheila E. Grammy-nominated artist B. Slade is evening’s musical director with a special performance by lauded artist Angie Fisher performing hot new hits and old school dance grooves. Surprise, household name performers are expected to drop in. SNN, the first parent-driven organization to make issue of underserved kids with Autism a funding and policy priority for State, has helped over 40,000 families over last decade in marginalized communities. It is the lead organization in essential autism legislation including SB 946 which in 2011 mandated private health insurance companies to pay for autism therapies and the expansion for Medical to cover 70,000 low income kids with autism in 2014. Along with St. John, SNN spearheaded the first and only autism community health center previously located in Compton which will open on the newly designed Martin Luther King Hospital campus later this year.